Are you seeking leading real estate sales training that will get results in your current market? 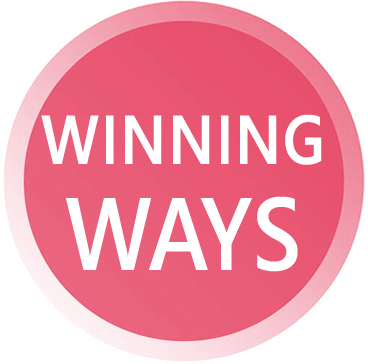 Winning Ways is a sales system designed by winning real estate professionals and trainers who are currently in the field listing and selling properties - in large numbers. It is a system that can take a beginner to a winner, or a winner to the next level. For an intense three days, you will learn every facet needed for a long and prosperous real estate sales career. More than just a sales seminar, Winning Ways begins with a focus on personal growth, achievement and fulfilment followed by the smart sale skills that are essential for a great career. A focus on lead generation, qualifying and closing are covered in detail with real life practical examples. Winning Ways gives you Ten Foundations that are essential for an outstanding real estate career. Easy to follow and simple to implement, Winning Ways is the complete sales system you need for a winning real estate career. Join us for the next presentation of Winning Ways – A SMARTER SALES CAREER on Tuesday 21 - Thursday 23 May, 2019 - Brisbane. Get more listings, make more sales and thrive in any market. If you are looking for a structured plan to having a successful real estate agency then you need to attend the Agency Profit System seminar. I could not think of any other way to run a real estate agency. Value . . .
Want to boost your selling potential? Contact us now.